Flying Pigs Recycling is a local recycling company established over 10 years ago in the beautiful Bow Valley. We are deeply committed to sustainability, and providing solutions to help businesses divert waste from landfill by recycling efficiently and affordably. Flying Pigs recycling can help your business lower it ecological footprint while lowering your bottom line! We achieve this through consultation and education, and we create customized solutions for set up and storage of recycling space, as well as pick up of recyclable materials that works for your business’s schedule. We provide diversion reports to show how much waste your business diverts from landfill through our recycling efforts, and how much money recycling saves your business on tipping fees..it’s a winning strategy! Flying Pigs Recycling is a local recycling company established in Canmore over 10 years. 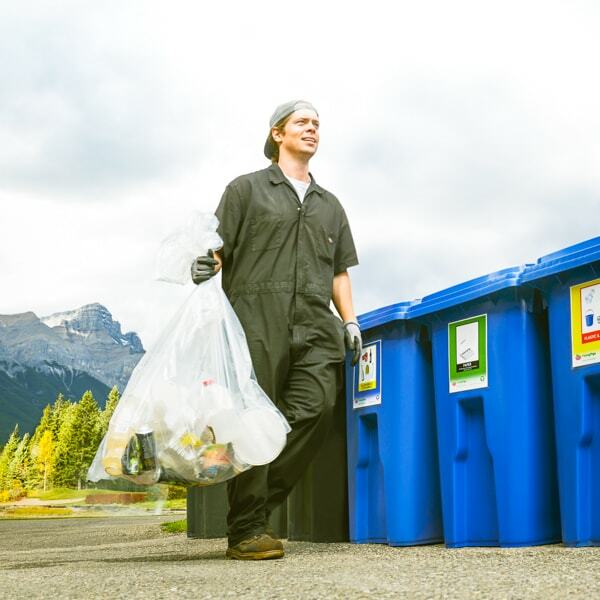 We offer customized recycling services to businesses throughout the the Bow Valley and we are passionate about providing our clients with solutions for diverting their waste from landfill.